Mix all the ingredients together and set aside for 20-30 minutes for the dough to rise. Roll out the dough into 1-2cm diameter ropes and cut into bite-sized chunks. Let them rise. Deep-fry in olive oil. 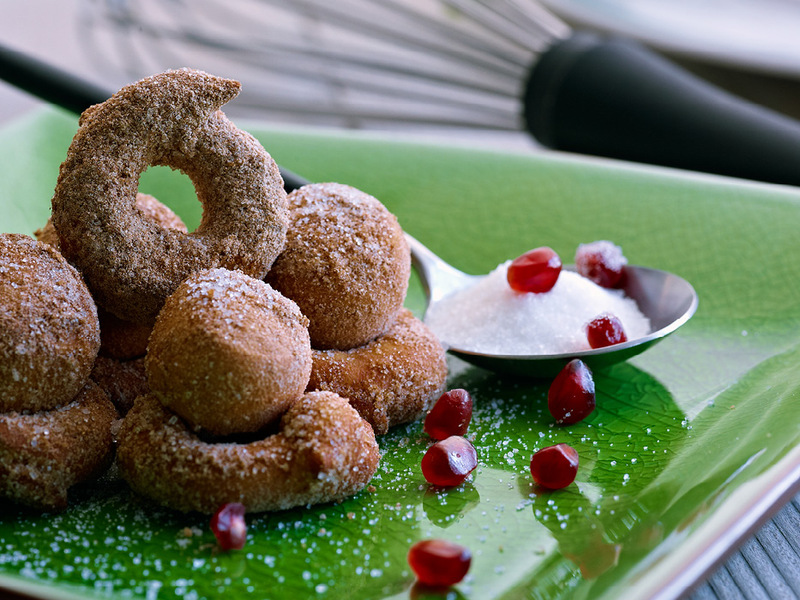 Roll the loukoumades into the sugar and cinnamon powder mixture and serve.